In our Engraving Department, we cut your imprint into the finish, which allows the base metal to show through. Your imprint may develop a patina over time, if the base metal is brass. Engraving on Chrome is more subtle than on other finishes. 400EG Emerald Green Bullet Space Pen (actual pen length is 3.75" when closed. Q4 Fisher Space Pen (multi-action) - One of our longest pens! 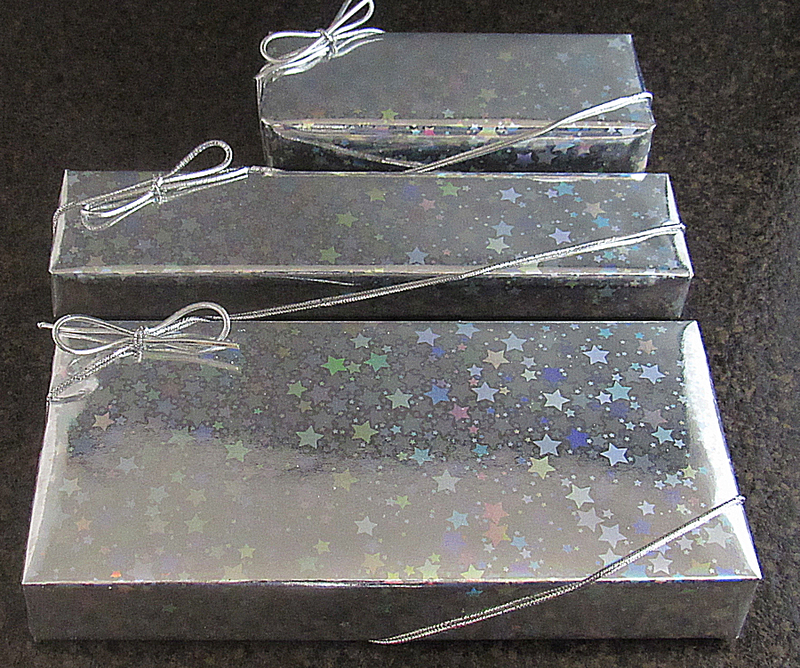 Gift Wrapping Examples, ready to be shipped to your recipient.